RewardExpert compiled and analyzed 30 data metrics to determine the best and worst cities, metropolitan areas, and regions for startups and small businesses. If you’re thinking of founding a small business, location is everything. You don’t need to relocate to Silicon Valley or Seattle to create a successful startup company. In fact, that ship has sailed — soaring real estate prices and sky-high rents in the region make it yesterday’s news. The question on everybody’s mind is: where is the next Silicon Valley going to be? RewardExpert endeavored to answer this question by analyzing all of the relevant data we could get our hands on. We compared 177 metropolitan areas with more than 250,000 residents, using 30 data points in nine categories to determine which metropolitan areas will give your small business or tech startup the best chance to survive and succeed, and which ones will present you with the most daunting of challenges. Federal, state and local governments offer numerous incentives to attract businesses. Witness the competition for Amazon’s future second headquarters: some offers are so favorable that they beggar belief. Tax credits for job creation, research and development, and incentives, such as property tax abatements and other sweetheart deals, reduce overall tax revenues and can neutralize the beneficial effects of economic growth. Moreover, such incentives tend to benefit huge corporations like Amazon more than small businesses and startups, and working taxpayers — your future employees — wind up stuck with the bill. We have therefore given this category a lower weight in our analysis, and given a higher one to the startup and small-business category. Note: We analyzed data at the level of census-defined Core-Based Statistical Areas, and included only metropolitan areas with populations greater than 250,000. One of the fastest growing metropolitan areas, with its population projected to grow 1.65 percent per year, Denver is an attractive location for individuals and businesses alike. Colorado, moreover, has attracted substantial venture capital investment, with 128 deals worth a total of $670,000,000 made between 2010 and 2016. While real estate in Colorado is among the most expensive in the country, housing costs in the Denver metropolitan region are quite affordable, with median rents just above $1,000 per month. Office space in the Denver area is inexpensive and plentiful, with an average rent of $13.74 per square foot, and 12.5 percent of all available office spaces are vacant and available. Prices are increasing, and the vacancy rate is decreasing, which reflects a thriving economy, as does its low unemployment rate of 3.0 percent. Denver has one of the highest rates of business ownership in the country, and while startups currently make up a smaller proportion of all businesses in the region, their numbers are growing at a healthy rate (79th percentile). In short, get in on the ground floor here while you can. Our second place pick, the Boston-Cambridge-Newton, Massachusetts, metropolitan region, is an obvious choice for startups. So obvious, indeed, that one would think Boston should be yesterday’s news in terms of its favorability to small businesses and startups. In fact, the opposite is true: the Boston metro area ranks in the 87th percentile for startup growth and number of startup companies (only 1.7 percent of all businesses are startups). While home prices and apartment rents are rather high, office space remains reasonably priced, albeit a little scarce (5 percent vacancy rate). The area also has a highly educated population, with 32.04 percent of residents having a college or graduate degree, and 52.11 percent employed in industries that require a college education. Boston remains an attractive location for founding your business, and with a startup survival rate of 53.97 percent, you are more likely to succeed here than in 98.8 percent of other metro areas. Coming in at third place, the Bridgeport-Stamford-Norwalk metropolitan area in Southwestern Connecticut is a choice that is both natural and counterintuitive. Adjacent to the New York City metropolitan area, it is a smart choice for businesses that require space to grow. While home values and net worths are higher here than anywhere else, office space and housing remains inexpensive for those willing to live and/or work in the city of Bridgeport. The region ranks very highly on measures of transit accessibility and frequency, in the 98th percentile for both, and ranks in the 99th percentile for total retail sales. With a high concentration of small businesses (89th percentile), the Bridgeport metro area is a golden opportunity on the Gold Coast of Connecticut. The Twin Cities metropolitan region of Minneapolis-St.Paul-Bloomington, Minnesota, comes in at number four, with strong startup growth figures in the 94th percentile and high rates of business ownership (70th percentile) and startup survival (76th percentile). Household incomes and assets rank in the 80th percentile nationwide, while housing is relatively affordable, which makes your employees wages and your profits go further. Retail sales per business are strong, falling in the 93rd percentile among all metropolitan areas. Fifth place Madison, Wisconsin, owes its place on our list to a combination of several factors. The marketplace for office space is highly favorable to prospective tenants, with a vacancy rate currently in the top 95th percentile, with 14.55 percent of office units not presently occupied. The retail economy in Madison is thriving, with total sales per capita and per business in the 97th percentile, and the Madison region has a very high concentration of small businesses in the 92nd percentile. The rate of business ownership in and around Madison is in the 71st percentile. While startup growth is currently sluggish, this will not be the case for long, and those startups that have already chosen Madison have a high survival rate. Like Madison, sixth-place Lincoln, Nebraska, is a college town with highly educated residents. Almost one in four (24.5 percent) of Lincoln area residents hold bachelor's or graduate degrees, while an additional 21.15 percent have either earned an associate’s degree or some amount of college education. With only 39 percent of employment in industries in which education is a prerequisite to getting a job, there is room for growth despite its low overall unemployment rate of 2.6 percent. While vacant office space is scarce, at 4.7 percent, rents are very low at $13.30 per square foot. In spite of the fact that the percentage of startups in Lincoln is a low 27th percentile, there are more small businesses than 80 percent of metro areas nationwide and a correspondingly high rate of business ownership. Finally, if there is one reason to choose to start your business in Lincoln, it is the fact that nowhere else has a higher five-year rate of survival for startups than Nebraska. Seventh place Hartford was once known as the capital of the insurance industry in the U.S. (that title now goes to Des Moines, Iowa). Like the Bridgeport metropolitan area, Hartford is a low-income city surrounded by affluent suburbs, and as such presents a similar opportunity. Office and apartment rentals are comparably inexpensive, and the available supply outstrips current demand (9.94 percent vacant offices and 7.6 percent vacant housing in the metropolitan area, which includes the surrounding, wealthier suburbs), while businesses have access to a well-educated metro area population for prospective employees and customers. Once an industrial powerhouse, Pittsburgh’s decline was precipitous, and its recent renaissance has been such a meteoric rise that the city has been hailed in the media as the next Seattle. And for good reason — small business density is in the 80th percentile, while startups have a 53.78 percent five-year survival rate. Pittsburgh’s two major universities, Carnegie Mellon and the University of Pittsburgh, not only churn out degree-holding graduates, but they are also major area employers and have invested heavily in making Pittsburgh an attractive location for prospective students, professors, and employees. Coming in at ninth place is the Fort Collins, Colorado, metropolitan area, which is the population and business center of Larimer County, between Denver and the Wyoming state line. Like Denver, the Fort Collins metropolitan area is attractive to businesses for its low corporate tax rate of 4.63 percent, as well as a generous job creation tax credit. Business ownership in the Fort Collins metropolitan area is extraordinarily high, in the 98th percentile, and a healthy startup growth rate in the 79th percentile. Finally, rounding out our list is the Austin-Round Rock, Texas, metropolitan area. The Austin metropolitan area has a lot going for it, including a population growth rate of 2.67 percent per year between 2010 and 2017, which is projected to continue unabated at a rate of 2.65 percent per year, making it one of the fastest growing metropolitan area in the country (second only to the retirement community of The Villages, Florida). Another college town, Austin is home to an educated population (44.88 percent of area residents have at least some college education) to serve as a pool of prospective employees. Not surprisingly, startup growth in the Austin area is in the 89th percentile, and the five-year survival rate for startups is likewise quite high, in the 92nd percentile. Austin also benefits from Texas’ business-friendly lack of a corporate income tax. The only significant drawback to Austin is sky-high office space rental prices, which at an average $22.97 per square foot, are higher than the average for the New York metropolitan area. Note: Our analysis showed very strong geographical clustering at the bottom of our rankings: nearly 90% of the toughest metros for small business founders were found in two states, California and Florida. In order to bring you a more informative and relevant report, we have combined geographically contiguous, or nearly contiguous metropolitan areas that make up an identifiable, economically interconnected region. The Charleston, South Carolina, metropolitan area comes in as the number one least-favorable place to start a small business for a number of reasons. In the first place, office rents are a sky-high $23.60 per square foot, well above the national average of $17.15 per square foot. Second, housing costs are above the national average for both renters (median monthly rent is $975 versus $803 nationally) and owners ($1,367 versus $1,217). Third, public transit is infrequent and underutilized, with only 1 percent of Charleston area commuters using public transportation. And finally, the area business ownership rate is below average, in the 8th percentile, with a very low percentage of startups (0.89 percent), and a below average five-year survival rate of 48.32 percent. The Florida Panhandle region, including both the Tallahassee and Pensacola metropolitan regions, is the second least-favorable location for small businesses — and the absolute least favorable one for startups, which make up only 0.86 percent of all businesses. Although office rents are average to below average ($13.53 to $17.21 per square foot), there are few vacant units to be had (4.1 to 5.29 percent vacant). Population growth has been and is projected to be sluggish, at a 0.875 percent annual growth rate. Finally, while the area has a relatively well-educated population, median household incomes and net worths are well below average, ranking in the bottom third nationally. Outside of the Bay Area and the Los Angeles-San Diego corridor, California presents a rather inhospitable climate for small businesses and startups alike. Of the three regions that rank third through fifth least propitious, Bakersfield and the Inland Empire region takes the cake. More office space stands vacant here than the national average: about 9.4 percent of all units. The area is home to a population with a decidedly low level of educational attainment, with only 9.84 percent of Bakersfield-area residents holding a bachelor’s or graduate degree. Despite higher home values and household incomes in the Riverside-San Bernardino area, only 13.29 percent of residents have a four-year degree or graduate education. Furthermore, small business density is below average, and those startups that launch here fail more frequently than average, with a five-year survival rate of only 47.25 percent. The long stretch of coastal California between the Los Angeles area and Silicon Valley that extends from Santa Barbara to Salinas is likewise a poor choice for a place to start a business. Nowhere else in the country is office space both more expensive and hard to come by: average rents range from $23.13 per square foot in Salinas and San Luis Obispo to $30.62 per square foot in the Santa Barbara area, where only 2.85 percent of units are vacant. Public transportation is used by 2 percent or fewer of commuters, which combined with high fuel costs, results in an average household spending $14,420 on commuting costs per year. Housing costs are likewise high for renters and homeowners alike, with yearly housing expenses coming out to $15,524 for renters and $21,612 for owners. In fifth place we have California’s Central Valley region, an unbroken stretch of inhospitable terrain for the prospective small business owner running from Fresno northward to Stockton. The reasons here are in many ways opposite to the coastal region to the west: office vacancy rates are high, between 9.26 and 12.45 percent, and rents around the national average ($15.77 to $20.31 per square foot). The unemployment rate in the Central Valley is well above average, standing at 8.575 percent, as compared to the national rate of 4.52 percent. Educational attainment in the region is low, with an average of only 10.91 percent of adults having a bachelor’s or graduate degree, which ranks in the bottom decile of metropolitan areas nationally. There are a wide range of factors that land the Huntington-Ashland, West Virginia-Kentucky, metropolitan area on our list of the least favorable locations to start a small business. The area’s economic, educational, and demographic profile is generally not conducive to business success: median household incomes in the region are in the bottom decile of all metropolitan areas, while education ranks in the bottom quartile, with 14.64 percent of residents having at least a bachelor’s degree. While small business density is higher here than the national average, the rate of business ownership is among the lowest, in the 3rd percentile, which implies that many small businesses are owned by the same people. Coming in as the seventh least favorable place in the U.S. for small businesses and startups is the Provo-Orem, Utah, metropolitan area. As a state, Utah is the only place in the U.S. to post a net negative startup growth rate in 2017. This is perhaps due to its exceptionally low five-year startup survival rate of 45.49 percent. Small business density and business ownership rates are low, with only 0.06 percent of residents owning a business (11th percentile), and few businesses in high growth industries. Topping it all off,the average small business here employs fewer individuals after five years than it did at the outset (6.84 employees at five years, compared to 7.72 employees in the first year). The state of Mississippi as a whole has the dubious distinction of being the state with the least venture capital investment in the U.S., with a total of four deals completed since 2017, worth only $1.16 per capita. This is in spite of a favorable corporate tax rate of only 4 percent. Median household incomes are significantly below average, as is educational attainment, and projected income growth in the area is a low 1.9 percent annually. The retail marketplace here is sluggish, with per-business sales coming in at the 24th percentile. Coming in at ninth place is Port St. Lucie, Florida, where household incomes and home values are around the national average, despite having educational attainment rates in the top quintile nationally. This is perhaps due to the area’s higher-than-average unemployment rate of 4.4 percent. Office space is on the pricey side, averaging $21.03 per square foot, as is housing, with median rents of $893 per month. Finally, like every other area in the bottom ten, transit is used by less than 2 percent of commuters, making the region less than attractive to small business founders. Finally, rounding out our list of the ten least favorable metropolitan areas for small businesses and startups is the Clarksville, Tennessee-Kentucky area. In spite of a suite of business incentives, as well as healthy startup growth, one would do well to be wary of starting a business in this area: only 46.51 percent of startups survive for five years. The state of affairs is no better for retail businesses: total retail sales per capita in the metropolitan area ranks in the 13th percentile, and the number of retail businesses per capita ranks in the 11th. If you’re thinking about starting a new business, you’re going to need a good business credit card. A business card is an easy way to pay for travel expenses, office supplies and more. It can even be a great option if you need a little extra cash flow during those lean months or to invest in the future when things are booming. Best of all, you can earn cash back or free travel if you have the right card. Let’s take a look at some great card options for small business owners and independent contractors. If your business involves a lot of travel, you’ll probably want to get one of the many travel rewards business cards on the market. Before applying, you should think about what kind of travel expenses you have, how you’ll want to use the rewards you earn and what else you might want to get out of the card. For instance, if you often drive on business trips and stay a night or two in hotel, then a co-branded airline card won’t do you much good. But if you often fly on Delta, for example, you might want Delta’s business credit card. Every airline has its own lineup of cards, including legacy carriers like American, Delta and United, and discount airlines like Southwest, JetBlue and even Spirit. The best travel rewards business cards, though, are typically the ones that offer the most flexibility in terms of earning and spending. For that, you’ll want to look at cards that are part of big rewards programs. That means either Chase Ultimate Rewards or American Express Membership Rewards because Citi doesn’t currently offer a ThankYou Rewards business card. With either the Chase or Amex programs, you’ll be able to transfer the points you earn to a variety of airline and hotel partners and redeem for discounted or free travel. You’ll also be able to redeem points for hotels, airfare, car rentals and more through the program’s online travel portal. These rewards programs offer a lot to cardholders, particularly if you know a little about maximizing the value of your redemptions. Perennial favorites in this category, thanks in part to their generous earning potential, solid benefits and flexible rewards, include the Chase Ink Business Preferred card and the Business Gold Rewards card from American Express. If you don’t travel for business, or if you don’t have any interest in earning rewards that are best suited for travel redemptions, then consider a business card that offers cash back. 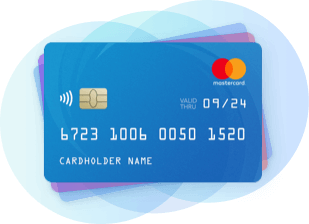 These cards give you the ultimate in flexibility because all of your rewards can easily be redeemed for statement credits. It can be a great way to save some money on your business expenses. There are a lot of excellent cashback cards available for small business owners. The Capital One Spark Cash for Business is a great, hassle-free option. You’ll get 2 percent back for all purchases, with no limits or restrictions. It also comes with a $500 sign-up bonus and a variety of other valuable perks, such as free employee cards and primary rental car insurance. There are also a number of cashback business cards that offer greater return rates for select purchases. If you spend a lot in certain bonus categories, then these cards may be a better way to go since you can get up to 5 percent back. The Ink Business Cash card from Chase and the SimplyCash Plus Business card from American Express are two solid choices for cards with high-earning bonus categories. Both give 5 percent back at office supply stores and for telephone services, as well as offering bonuses for a variety of other types of purchases. Check out the card details and compare them to how you spend your business’s money to see which will give you the most cash back. All of the cards that we’ve talked about here offer a variety of benefits that many business owners will appreciate. All of the issuers give their cardholders free access to a suite of tools and apps to help them organize their business finances and track expenses. You’ll also get perks like free or cheap employee cards, free car rental insurance, purchase protections and financing offers. Sometimes it’s the little things that can make your day a lot easier. 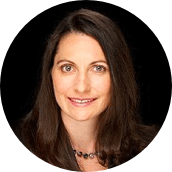 RewardExpert spoke with Andrea Roebker, Regional Communications Director of the U.S. Small Business Administration, about tips, advice, and resources available for small business owners. Get Educated — The SBA hosts frequent in-house and web-based workshops on how to access capital, get advising and find opportunities in government contracting via our 68 district offices throughout the nation (including one in Minneapolis & Madison!). Additionally, our resource partners provide entrepreneur education on a variety of topics. Further, the SBA offers more than 60 online classes entrepreneurs can tap on their own schedule. SCORE: SCORE is a national organization of volunteer business professionals that work with current and prospective business owners to help them formulate and realize their goal of starting a business, expanding a business, or solving a business challenge — all at no cost to the business owner. Access to market research data, identifying what questions to ask, and business plan analysis are ways we can help. For example, a business consultant can work to determine if a market exists, what the market looks like, how the business owner will reach the market, and most importantly, if the business can actually make a profit. Small Business Development Centers: SBDCs also provide assistance to aspiring and current small business owners with a variety of free business consulting and low-cost training services. They are typically hosted by leading universities and state economic development agencies, and funded in part by the SBA. Targeted Audiences: The SBA’s Woman Business Centers and Veteran Business Outreach Centers are designed to meet the specific needs of women and veterans starting their own business. Also, theU.S. Export Assistance Centers work to help businesses interested in selling globally. Develop Partnerships — It is critical to develop partnerships and a lot of information can be shared, connections can be made and time can be saved by collaborating with organizations and other businesses. The hardest part for most small business owners is to identify those partners. The SBA’s network of mentors and business consultants can connect entrepreneurs with bankers, accountants, marketing experts, and attorneys, among others. Plan for the Future — The best part of connecting with a mentor and developing partnerships is the ability to plan for the future. With a roadmap, a business plan, a strategic plan, and/or financial projections, the business has a better opportunity for success and they can help with adjustments when opportunities arise or unforeseen challenges occur. 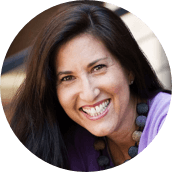 RewardExpert spoke with Paige Arnof-Fenn, Founder & CEO of Mavens & Moguls, for her insights on entrepreneurship. 1. What factors influenced your decision to start your business in the city that you eventually chose? I moved to Cambridge from Santa Monica, CA in 1999. I had been a graduate student here for two years in the late 80s and early 90s but moved back when my husband got a job offer here 19 years ago. After a couple of years of working as head of marketing at 3 different startup companies, I started a global marketing and branding firm here 16 years ago and I think Boston is a great place to live and to start a company. It is a bit of the Rodney Dangerfield of cities since Silicon Valley/Bay Area and Silicon Alley/NYC get all the good press but truly Boston is where a lot of the tech and VC world started. As a woman business owner and entrepreneur there are amazing groups here and I am part of many of them. I find them very collegial and collaborative. The academic community is also welcoming and inclusive even if you are not one of their alumns. Boston is not a one company town, there are top universities, hospitals, VCs, tech companies, nonprofits, healthcare, medical device, financial services, apparel, etc. There is no one niche. It is both big and small, everyone knows everyone here you are truly 1 degree from people you want to know so you better make friends and not enemies! The ecosystem here is great — supportive, friendly and smart. Funding is there but you have to know your stuff and do your homework. The bar is high but there is a path for those who are ready. I have lived in NYC, LA, San Francisco, DC, Atlanta, etc. and in my experience Boston is one of the best cities if you can take the long, cold winters here. More than any other place I have lived it is not about how you look, how much money you have, who you are married to, where you went to school, etc. — but really about how smart you are and how good your idea is. I would say the culture here is low key smarts. People work hard and are jazzed by ideas. Really successful people are usually the most casually dressed. Being “wicked smart” is cool. Boston is about excellence. We attract the best and expect the best. 2. What location-specific advantages helped your business to succeed? High density of top schools, research, venture capital, tech companies, etc. It is both a big city and small town. 3. What challenges, if any, have you encountered starting your business there? Winters can be long and hard. If a Nor’easter hits you have to be flexible to change meetings, events, etc. This month I had several events get postponed and in person meetings changed to calls or Skype last minute. Mother Nature wins every time. 4. What piece of advice would you share with entrepreneurs who are just starting out? Make friends before you need them and make sure you don’t cross wires with the wrong people, in a town like this that can be deadly where everyone is connected. You have to always be “on” – you never know when you may run into a potential client or investor here. Join nonprofits to get involved in the community. You will meet great people and do a lot of good. RewardExpert used GIS software and data to aggregate data to the level of the Core-Based Statistical Area, as defined by the U.S. Census Bureau. Core-Based Statistical Areas correspond to metropolitan areas for our purposes. Where possible, we obtained data at this geographical scale. State-level data was used for venture capital investment deals, and for corporate tax rates and business incentives. For metropolitan areas that cross state lines, we used the data corresponding to the state in which the core city is located. E.g. New York State data was used in the case of the New York-Newark-Jersey City, NY-NJ-PA CBSA. Kauffman Index startup data was not available for all metro areas; state-level startup data was used where metro area data was not available. We limited our data set to the 177 metropolitan areas with populations greater than 250,000 for which office market data was available. We calculated per capita rates and other derived figures as required, and subsequently computed percentile rankings for each indicator. These rankings were combined for each of the nine categories laid out in detail below, from which we calculated a weighted average of these nine scores. The small business and startups category was weighted by a factor of 2.5, while as noted above, the taxes and incentives category was weighted by a factor of 0.5. We then ranked metropolitan areas according to this weighted average. In order to promote geographical diversity in our results for the bottom ten areas, multiple low ranking metropolitan areas were combined into regions. Where at least two metropolitan areas in the same state ranked in our bottom ten, they were combined, along with any other contiguous metros in the next lowest ranked ten. Statistics were aggregated to the regional level. Consequently, the bottom ten ranked regions and metros that appear in our final results include a total of 20 census-defined CBSAs.